Flip Out Mama: HOT GIFT: Dinosaur Train InterAction Arnie PLUS GIVEAWAY! HOT GIFT: Dinosaur Train InterAction Arnie PLUS GIVEAWAY! Yay, yay yay! It's time for one of my favorite products this holiday season! As most of you know, my sweet little Bean is OBSESSED with Dinosaurs. We even went to Dinosaur World on our family vacation this year! 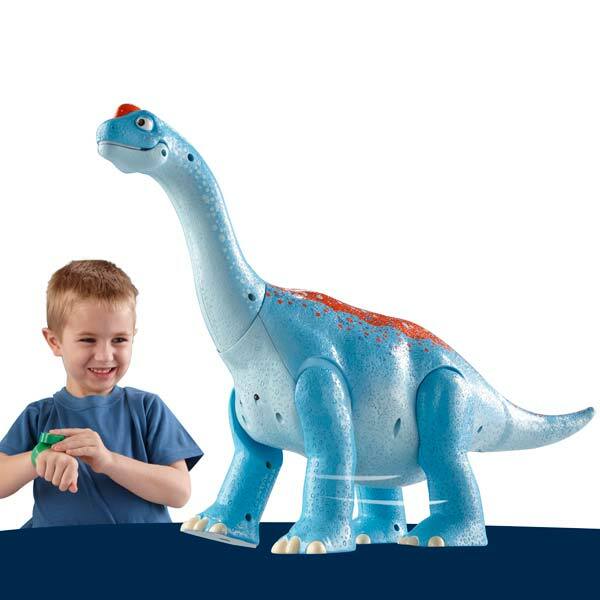 So, when we got a chance to review the Dinosaur Train InterAction Arnie Argentinosaurus from Tomy, you can imagine how excited he was! I have to admit, after I got a good look at Arnie, I was pretty excited about him too! This guy is HUGE! We were so excited to learn that Arnie comes with a Junior Conducter wristband as well, so that your kid can be in control of the action! We have already gotten a few of the other Dinosaur Train Interaction Characters in the past, so it was awesome to see that Arnie could interact along with them, and they could all "play" together! At right around a whole FOOT tall, Arnie is about half the size of Tater, so he LOVED playing with a toy that was so close to his size! He did need a little bit of help using the Junior Conductor wristband to control him, but it only took a few minutes and he was ready to go! This Arnie fellow can talk, he says over 80 phrases and sounds! It was really cute to see Bean giggle everytime Arnie would say anything! Also, Beanie just could not believe that Arnie was walking, stomping, and rearing up on his own! He thought it was magic! Arnie is so cute! I would definitely recommend him if you already have a Dinosaur Train fan, or just a general dino fan in your house! And, ESPECIALLY if you already have any of the other InterAction toys from Tomy! They work great together! 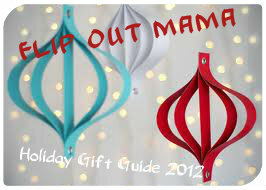 One Flip Out Mama reader is going to win an InterAction Arnie of their own to give to their own little dinosaur expert! Here's how to enter! Go HERE to Tomy's Dinosaur Train Page, and leave a comment letting me know which other toy you would like to own! Complete each of these for an additional entry, but don't forget to leave a comment for each one! Contest will end on 11/19/2012 at approx 10pm EST. Winner will be chosen via random.org and will have 48 hours to claim their prize or an alternate winner will be chosen! Sponsor is responsible for prize fulfillment. We received a complimentary product for this review, however, all views, thoughts and opinions are 100% my own. I'd love to have Mr Conductor. Tank! My 3 year old loves "t-tops" (and all other dinosaurs) Thanks! Oh I Carter would also love the InterAction Tank!